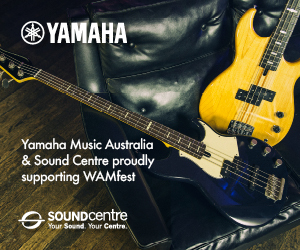 Badlands Bar is one of WAM’s Song of the Year Category Sponsors and is one of Perth’s best live music and events venues. Their undercover festival beer garden is always FREE entry from 6pm to 2am on Friday and Saturday nights and includes a variety of food trucks that cater for all dietary types. The Badlands “Main Room” hosts ticketed gigs for up to 500 people every Friday and Saturday night. 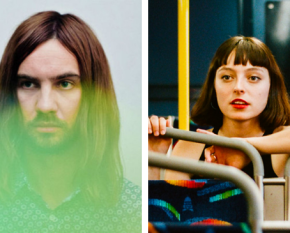 Luke Rinaldi is the venue booker for Badlands Bar and runs Sweet Mate Music which manages the bands New Talk, Red Jezebel and The Ghost Hotel, and also acts as booking agent for Dream Rimmy, The Love Junkies and Lucy Peach. 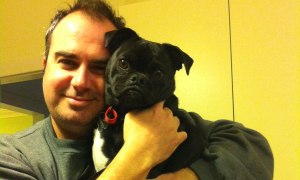 He has previously worked in various roles at WAM including Act of Youth All Ages Coordinator and as the WAM Festival Coordinator. 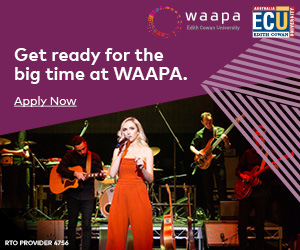 Formerly the State Coordinator for the Music Manager’s Forum Australia (Western Australian Branch), Luke was also the winner of the Golden WAMi award for Contribution to the industry in 2003, 2006 and 2011, in addition to the Management Award in 2011 and 2013. What, in your opinion, makes a great live performance? Natural stage presence combined with intensity and conviction (musical talent a big bonus). For more lighthearted acts, then intensity can be replaced by fun and good vibes, but it’s always got to be convincing once it’s on the stage. 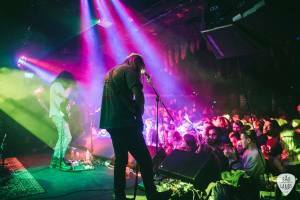 Tell us about how Badlands Bar is different from other live music venues in Perth? 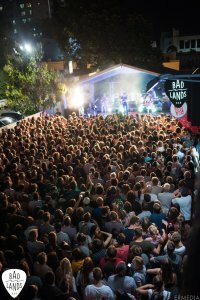 Badlands has an extremely unique aesthetic, plus is blessed with great vantage spots from everywhere in the room, which is a massive selling point for punters. The outdoor area is a very special point of difference, and the location is a huge plus. Right next to a train station, loads of parking around the area and, whilst it’s effectively in the CBD, it’s kind of in its own world right on the outskirts. This helps avoid the random dickhead factor as the people there have specifically intended to. We’ve tried to create a non-judgemental and non-threatening atmosphere which the staff and security put a lot of effort into cultivating. Opening a live music venue is not an easy thing, what are some of the challenges faced since Badlands Bar opened in 2016? The same as any venue, really – trying to tap into a market that’s pretty small in the first place comes with some nights of low attendance and/or low bar takings. 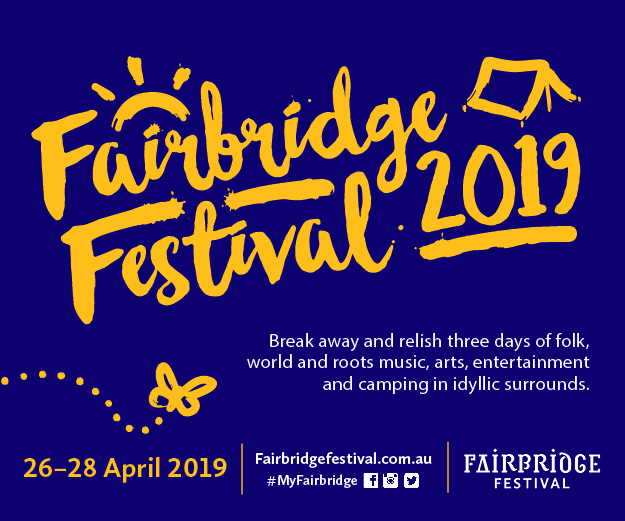 We’re really proud of how far we’ve come in only 18 months, having hosted some amazing international bands and some of Australia’s best acts, plus two editions of our City Limits Festivals in the carpark. The venue can’t survive on original music alone, especially when it’s not open all day every day like a hotel would be. The venue management have worked hard to get a lot of private functions into the venue, which really helps to supplement the income and make the venue viable. 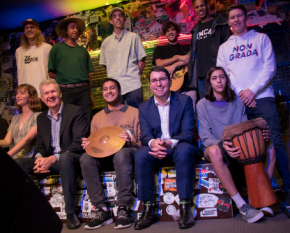 After all of the incredible gigs that have taken place at Badlands Bar since it opened, what key advice can you offer upcoming WA musos? Please, for the love of all that is holy, if you must load in after doors open, don’t do it while another act is playing, and definitely don’t do it right in front of the stage. On related note, try and be there from the start until the end – it’s meant to be a party. Don’t play overtime, don’t leave gear there for a month afterwards, introduce yourself to the in-house engineer, avoid asking them from the stage “how much time do we have left?”. Promote your shows, and don’t play too many shows in the same area within similar timeframe – every show you play need to be for a reason. What can Badlands provide for upcoming musicians? Brilliant production, great sound engineers, friendly staff, good promotional support, cheap drinks (once their rider runs out) and a one-of-a-kind venue. Bring in owner-operated (Mark Partridge is the brains behind it all) and there’s a refreshing lack of red tape, meaning we can more easily tailor the environment to a particular band or promoters wishes than if we had to wait for a monthly committee meeting. If someone is hoping to put on a gig at Badlands, what is the typical process? 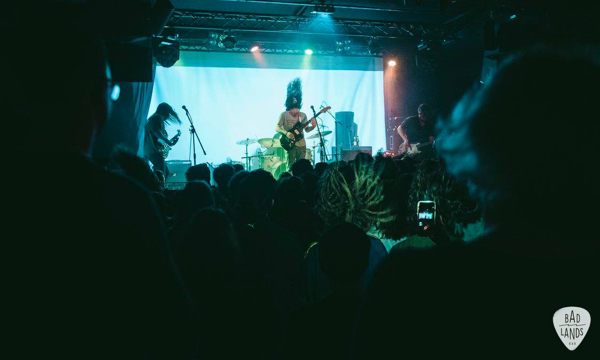 Generally a promoter or band will approach the venue with an idea for a full show – so that includes the band lineup, ticket price/door charge, theme (eg album launch, Halloween show) and promotional plan. We’ll discuss the idea with them and book them in if it ticks the boxes and fits with the Badlands plan. What is your favourite part about working in the live music business? I really enjoy dealing with musicians and the other people in the industry. They’re generally pretty like-minded, as are most of the punters. Who are some of your favourite WA bands for their live performance? Excluding any acts I work with in an official capacity, I’d say The Kill Devil Hills, BOAT SHOW, Nerve Quakes, Hussy for starters, and recently saw career-best performances from Simone & Girlfunkle, Childsaint and Moonlight Wranglers. What has been your favourite show at Badlands Bar?